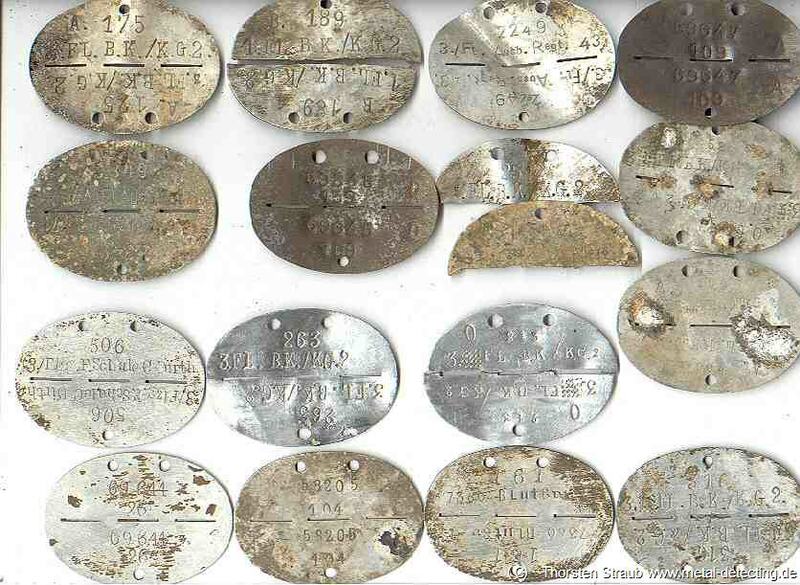 'Dogtags' made from zinc, aluminium, and steel. The ladder were issued to tank personnel and airmen because they did not melt in case of fire. 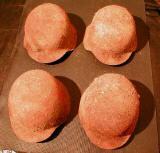 German Steel Helmets 1945. Find State. 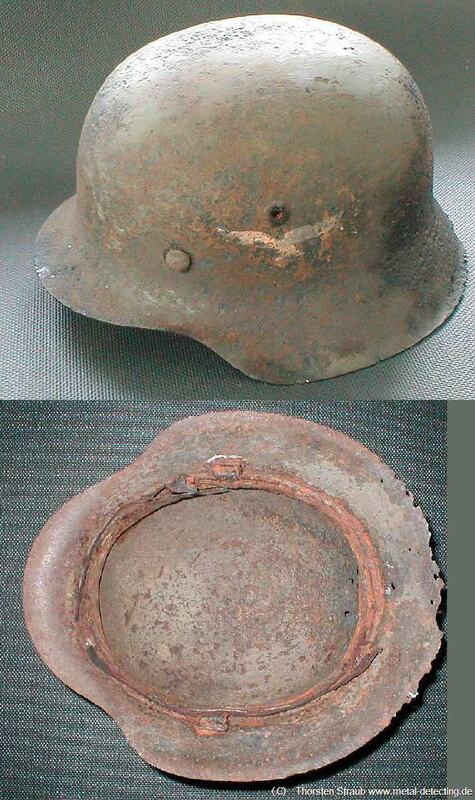 German Steel Helmet. Cleaned State. Helmet shows Luftwaffe (Air Force) insignia. Model M42. 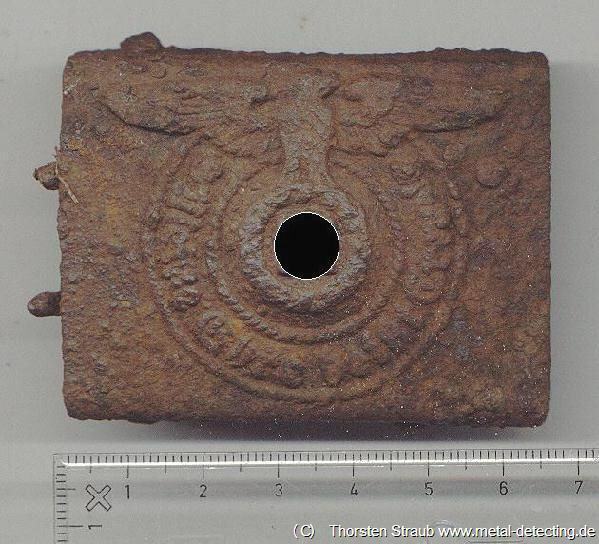 SS Belt Buckle World War 2. 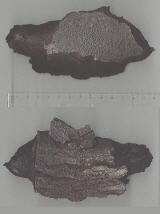 The fragment is some 15 cm / 6“ long. The bottom side shows how sharp the edges are. 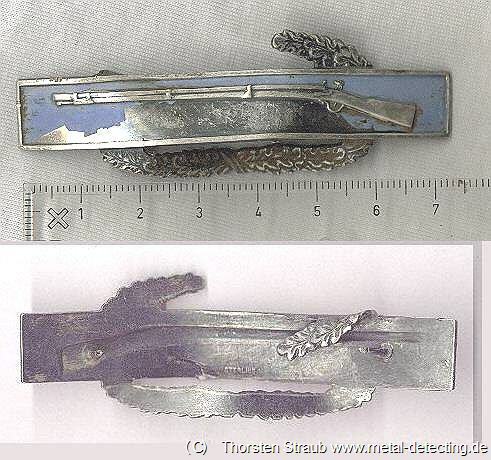 Probably this sterling silver item is from 1945. But since the badge was issued even after 1945 no certain date can be given. Various World War 2 weapons. 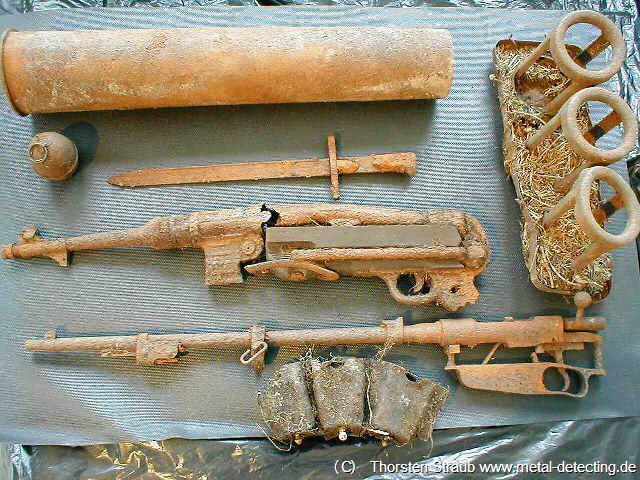 Weapons left behind by the 7th SS Volunteer Mountain Division 'Prinz Eugen' at the end of world war 2: 88mm cartridge, German 'egg' grenade, Carcano bayonet, MP40 submachine gun, Carcano rifle, Carbine 98 ammo pouch, 88mm shell carrying device. Top right Holding device for German 88 mm shells. 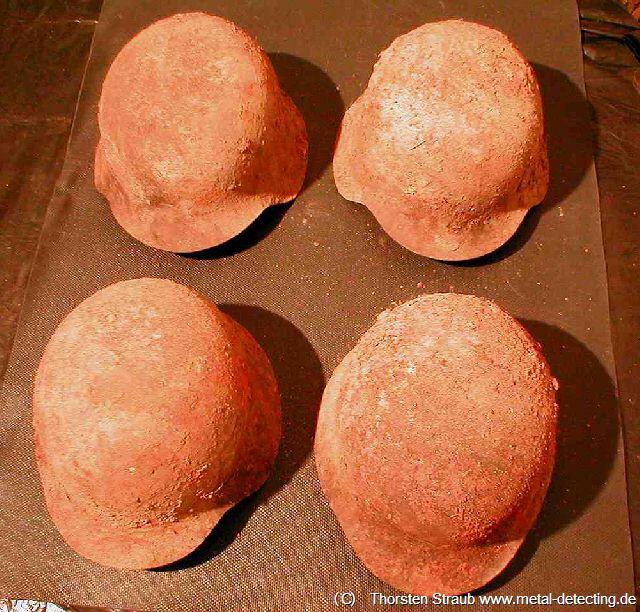 It was used during transportation so the shell heads stayed apart.